Aghstafa (Azerbaijani: Ağstafa, Russian: Акстафа) is a rayon in the northwestern Azerbaijan.It has two farmland exclaves inside Armenia, Jaradollo both of which came under Armenian control during the Nagorno-Karabakh War. 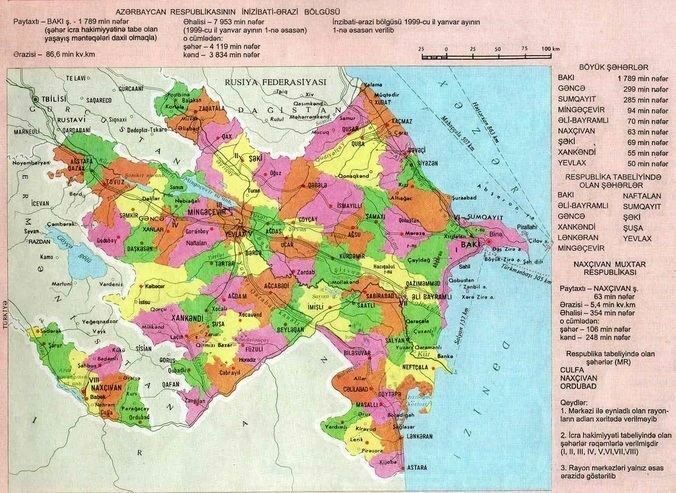 Agstafa raion was created on 24 January 1939 as an independent administrative unit out of larger Qazakh region of Azerbaijan. On 4 December 1959, the status of the raion was abolished and it was incorporated into Qazakh Rayon. Then on 14 April 1990 by the decree of the Council of Deputees of Azerbaijan SSR, it was split from Qazakh raion and was again re-established as a separate raion. The regional center of the raion is its capital Ağstafa. The raion is located in the northwestern part of the country, between Qabirri basin and Lesser Caucasus mountain range, and Ganja-Qazakh lowlands and Ceyrançöl highlands. It is sandwiched by Qazakh raion in the west and Tovuz raion in east, and borders Armenia on the southern frontier and Georgia on the northern. The area of the raion is 1,503.7 km2. There are 36 villages in the raion. There are 39 secondary schools, lyceum, musical school, 2 museums, 38 cultural clubs, State Arts Gallery, 49 libraries, 3 city and 10 village hospitals functioning in the raion. Ganja, Qazakh and Qarayazi lowlands make up the most of the raion's area, whilst its southwestern and northeastern parts comprise lesser mountain sites.It has two exsclave inside Armenia, Jaradollo both of which came under Armenian control during the Nagorno Karabakh War. The area's name comes from the name of the Oghuz Turks which include mainly the population of Azerbaijan, Turkey and Turkmenistan. Ağstafa is a merger of two words: Oğuz + tayfa (Oghuz + tribe). However, some people argue that it is a merger of the other two words which are: Oğuz + təpə (Oghuz + hill). The region is rich with bentonite, sand, raw cement material (volcanic ash) and other resources which are considered a core of the Agstafa economy. The Kura River passes through the region. Lower sections of Aghstafa and Həsənsu rivers also flow through the raion. Agstafa has always been in the spotlight because of the historic Silk Way trade which went through the region. Caravans from and to Georgia and Iran would stop in Agstafa. It was therefore named the "Camel route". In the 1990s, the caravan route was re-established within the TRACECA project initiated by Heydar Aliyev administration. Then Agstafa gained importance when it became a transit route on the Baku-Tbilisi railroad built in 1881. A railroad junction at Agstafa was built in 1914 thus creating leading to construction of Agstafa city. In addition to the existing railway, the geostrategic importance of Agstafa was enriched by Baku-Gazakh-Tbilisi gas pipeline, Baku–Tbilisi–Ceyhan pipeline, Baku-Tbilisi-Erzurum gas pipeline. The population of Agstafa raion is 78,983. Mostly populated villages are Dağ Kəsəmən, Köçəsgər, Muğanlı and Aşağı Kəsəmən and the town of Agstafa. The David Gareja monastery complex (Keşiş Dağ in Azerbaijani) is partially located in this region and is subject to a border dispute between Georgian and Azerbaijani authorities. Underground water-supply system(19th century)-village Kolkhalafli. Sabir Azeri (1938-2010) - Writer, author of best selling books. Aslan Aslanov (1926–1995) - Doctor of philosophical sciences, the real member of the NA of the Republic of Azerbaijan, deserved scientific figure, rector of Azerbaijan State University of Arts (1977), the vice-president of the Azerbaijan Academy of Sciences and director of the Institute of Philosophy and Law(1988–1995). Bayram Bayramov (1935) - Candidate of technical sciences, owner of the order of "Glory", pensioner by the President, deserved rationalizer of Azerbaijan, the deputy of the chairman of Oil and Gas Extraction Office "Neft Dashlari" (from 1987). Ibrahim Rahimov (1849–1927) - The first psychiatrist-doctor of Azerbaijan. Ilyas Abdullayev (1913) the academician of NA of Azerbaijan SSR, the deputy of the chairman of the Council of the Ministers of Azerbaijan SSR (1948–1950), Minister of Agriculture (1950–1953), the first deputy of the chairman of the Council of the Ministers (1954–1958), the chairman of Presidium of the Supreme Council of Azerbaijan SSR (1958–1959), the deputy of the Supreme Councils of USSR and Azerbaijan SSR. Museyib Allahverdiyev (1909–1969)- Hero of the Soviet Union(1945), commander of detachment. Samedaga Agamalioglu(1867–1930)-famous revolutionary, the first deputy of Azerbaijan CEC (1921), the chairman of CEC of Azerbaijan SSR, one of the chairmen of CEC of TSFSR (1922–1929), the chairman of the committee of All-Union New Tukrish alphabet. Suleyman Tatliyev (1925)-the chief of the department of the affairs at the Council of the Ministers (1970–1978), the 1st deputy of the chairman of the Council of the Ministers (1978–1985), the chairman of the Presidium of the Supreme Council of the Republic (1985–1989), the president of the House of Commerce and Industry of the Republic of Azerbaijan(from 1994), deputy of the Supreme Council of Azerbaijan SSR.